Government official Neville Gafà admitted he “bumped into” one of Tripoli’s most notorious militia leaders during his controversial Libya visit last month but played it down as “nothing serious”. Mr Gafà, who faced allegations of posing as a diplomat to meet Libyan government ministers in Tripoli, was spotted speaking with Haithem Tajouri, the leader of a militia group known as the Tripoli Revolutionaries Brigade, sources told Times of Malta. Written questions sent to Mr Gafà last week remained unanswered but when contacted again on Tuesday and told about Mr Tajouri, Mr Gafà called the Times of Malta himself to comment. He first denied any knowledge of the encounter but eventually said he had bumped into him on the street, insisting this did not constitute a formal meeting. “Yes, we may have met – if you want to call it that – but informally, on the street, like I can bump into anyone on the street,” he said. 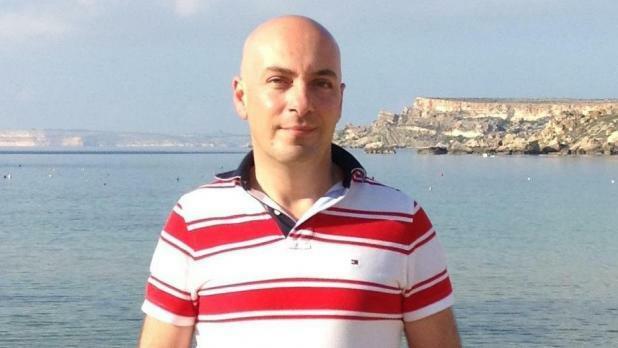 The sources who spoke to Times of Malta were unable to say what the two men spoke about but pointed out that since the encounter could raise concerns of national security, it had been flagged last month to the relevant authorities. They described the encounter as a “sit-down meeting”. Mr Tajouri had been singled out in a 2016 UN Security Council report as being at the helm of one of Libya’s most powerful paramilitary groups, believed to be involved in a series of human rights violations. According to the report, Mr Tajouri set up a private detention centre, where former regime officials and sympathisers were held. He extorted large sums of money from visitors and the facility was linked to several disappearances and cases of alleged torture, the UN said. A follow-up security report had delved into allegations of “Mafia-style extortion rackets” run by the armed groups of Tripoli, including that led by Mr Tajouri. Libyan Central Bank employees claimed to have been threatened by Mr Tajuri and his associates to obtain letters of credit and accelerate procedures for financial movements. Documentation annexed to the report indicated that letters of credit for more than $20 million had, in fact, been issued. After his visit to the North African country last month, Mr Gafà was asked about media reports that he had also met Libyan witnesses involved in a Maltese court case over his alleged involvement in a medical visas racket but he did not comment. Read: What is Neville Gafà’s real job? Times of Malta reported in 2016 that Mr Gafà, then an official at the Health Ministry, had been identified by a whistleblower as having charged Libyans thousands of euros for a visa to live on the island. A police investigation had found no evidence of wrongdoing on his part. Mr Gafà hit the headlines again last month when he was photographed meeting senior Libyan government officials as “special envoy of the Prime Minister”. Libyan government statements on the meetings had said national security issues, the war on fuel smuggling and other matters had been discussed. A spokesman for the OPM said Mr Gafà had not been on government business in Libya. Mr Gafà has since insisted he had travelled to Libya on a “personal trip” and met ministers who happened to be friends. In a statement on Wednesday, Partit Demokratiku leader Godfrey Farrugia described Mr Tajouri as a warlord and the boss of a nascent Libyan mafia, a man identified by the United Nations as being behind several cases of human rights violations. His actions and those of his associates were holding Libya back from achieving freedom and democracy, he said and his meeting with Mr Gafà, a close associate of the Castille cabal, rasied some serious questions, Dr Farrugia said. "How did a member of the Castille cabal know a high-profile warlord? Why do they know each other? On whose side is the Castille cabal in the Libyan conflict: on that of international efforts to establish the rule of law in Libya or in bed with criminals whose only interest is profiting from a broken system?" Dr Farrugia said the Maltese government ignored PD's proposal to establish a UN-led commission to fight organised crime on the high seas between Libya, Malta and Italy. "Is it because it wants to protect the interests of friends and acquaintances like Haithem Tajouri?" PD secretary general Martin Cauchi Inglott said Libyan militia leaders were highly guarded and protected to precisely prevent people from "bumping" into them. "This is a very strange statement by Gafà that begs more questions than answers," he said.